We are so blinded by our obsessions to consume and wear makeup, always trying to upkeep with different brands and different styles created by markets. We forget to stop and think about where exactly these products are coming from, and who is suffering in the process. Media has always portrayed the beauty industry as being illustrious and something to aspire to, yet for years has neglected how animals have been used to ensure the success of our brands. In recent years, there has been an immergence of understanding amongst the public about how animals are being tested on so that the products that hit our shelves won’t harm us. We live in a technological age where, new advances in non-animal testing is becoming increasingly more accessible. It is reaching the point where we now have suitable, and in some cases more successful alternatives to animal testing. PETA often funds research into non-animal testing options such as, the Institute for In Vitro Sciences (IIVS). See here for more information. The Australian cosmetic industry is far from being totally cruelty free, but it made me think about other countries such as China, and what the standard for animal testing is there. I will also glance into this issue from a Public Relations and Marketing perspective. This is because I have a personal interest (as a PR & Marketing student) in how these shape and influence the issue. The intention of this research was to personally learn more about a topic I would usually avoid and widen my perspective on animal rights, through a case study of the Chinese cosmetic industry. Up to this point, I have not actively searched Animal Rights issues and ignored cases regarding animal right violations. As an autoethnographer, I am using this opportunity to discover more about myself through learning about another cultures interaction with a global issue. This topic is unknown territory for me, as I have never found myself questioning or even thinking about the cosmetic animal testing that occurs within China. Let alone the worldwide issue that comes to hand with this topic. It lead me to some very basic Google searches, such as “Animal testing China”, and “China Cosmetic Industry”. Surely enough, this helped me gain a basic understanding of the nature and laws surrounding the cosmetic animal testing regulations. I discovered that, up until 2014, all cosmetic products created and imported into China had to be animal tested by law. But in 2014 the China Food and Drug Administration stopped requiring tests for ordinary cosmetics (make-up, skin, hair and nail care products and fragrances) produced in the country, and allowed these manufacturers to choose alternatives to animal testing. Products manufactured overseas and sold in China, as well as special cosmetics, like sunscreen, all still require mandatory animal testing to be released onto the Chinese market (Care2, 2014). For the Chinese consumers who are conscious of the impact their choice of product has and are interested in purchasing cruelty free products, it was not possible up until this point. It was the first step for animal activists in opening the cruelty free cosmetics market in China. Up to this point, consumers were being misled into thinking that they were purchasing cruelty-free products. In terms of the Marketing process of these products in China, I discovered a marketing agency called the Gentlemen Marketing Agency, based in Shanghai and specialises in creating “solutions to develop your Brand in China, cosmetics, Beauty, Health care and pharmaceutical companies”. The agency focuses on creating a firm relationship between foreign companies and Chinese consumers. I was particularly interested in this agency, because of its blogs discussing animal testing on cosmetic products in China. They are against the use of animal testing in the cosmetic industry, and explain their support for the announcement that China will no-longer require international cosmetic products to be animal tested. The blog also calls out companies such as Avon and Mary Kay re-starting their animal testing in order to “grab a larger market share” (Olivier, 2017). The changing of regulations, that has been ignored by companies, highlights how important it is for consumers to shop wisely and inform themselves. This is to ensure that they do not support companies that have the opportunity to use non-animal testing but choose not to. 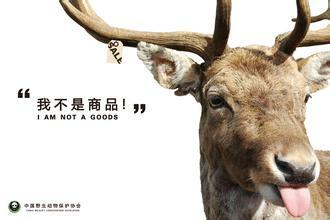 This does not just regard the Chinese market and Chinese consumers, but all international markets and their consumers. There is also a need for more Marketing and PR agencies to stand up against large cosmetic companies, by creating campaigns to deter consumers from supporting animal tested product. This research has taught me that we all have a part to play in supporting cruelty free products, so that we create a market share large enough that forces companies to use non-animal testing.